It's the 7th largest country by size, with dozens of geographically diverse states, fascinating cities, and over a billion people. India's extraordinarily rich historic and pop culture, landscapes, cuisine and influence have spread from South Asia around the world. India is on many people's travel bucket lists, and if you're reading this, maybe yours too. With so much to see, do and experience, for many travelers, India seems overwhelming. 1. Where is the Golden Triangle? It's not an official place on a map. The Golden Triangle refers to the route between 3 landmark destinations in northern India: the Delhi, Agra, and Jaipur. It's about a half a day's journey by road between each point, making the route achievable in a week- 10 day- trip. It delivers some of India's 'greatest hits' as well as terrific shopping and markets, culinary and cultural experiences, from ancient artistic techniques to modern-day Bollywood performances. India's modern national capital is the 3rd largest city in the world. And it was also the capital for half a dozen earlier civilizations over 2500 years, each leaving its own historic and cultural mark. 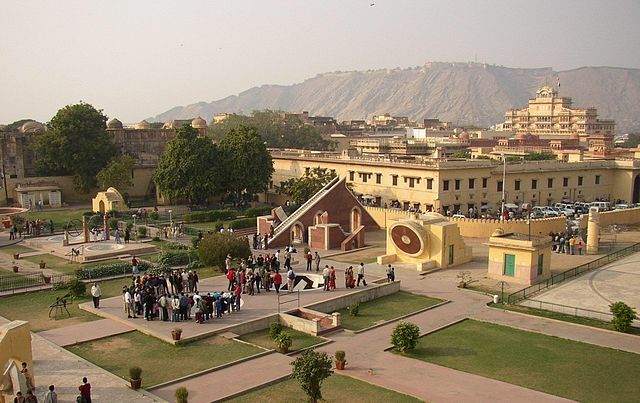 You'll visit monuments to the Hindu, Sikh and Muslim (Mughal) communities, including 3 UNESCO World Heritage Sites. 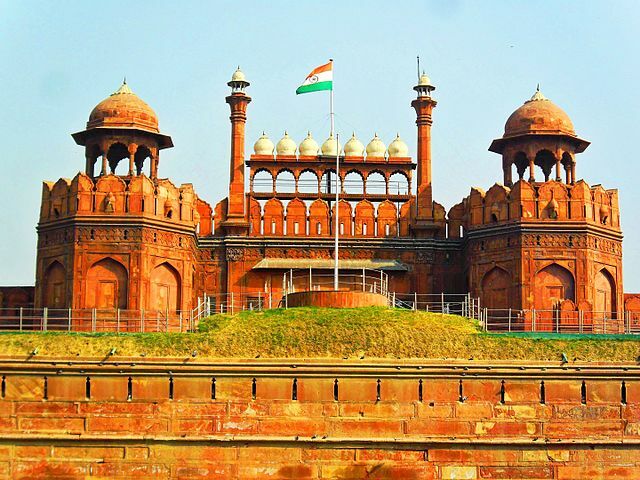 Must-see places include the Jama Masjid, which can accommodate 25,000 worshippers, Humayun's Tomb, a 16th century Mughal garden tomb that was a model for the Taj Mahal, the Red Fort (pictured above; photo credit), and Raj Ghat, the memorial to Gandhi. Agra's claim to fame is the Taj Mahal (pictured top; photo credit). The white marble structure with 28 types of inlaid precious and semi-precious stones was voted #1 of the New Seven Wonders of the World. Its very name evokes the pinnacle of architectural achievement and royal excess. Showcased by landscaped vistas, the Taj Mahal is breathtaking, and many tours plan an arrival so you can experience the royal mausoleum in the mystical atmosphere of sunrise. Some say you haven't visited India if you haven't seen the Taj Mahal, and for many, it is the moment of a Golden Triangle tour they were waiting for. India's 'Pink City' is the ultra-modern capital of Rajasthan. Its nickname originated in the 19th century, but its history dates back more than a century earlier; a planned city of wide boulevards and dedicated artistic community. Most tours run October to March, with most visits in the cooler months of October, November, February and March. 6. How you can Visit India's Golden Triangle? 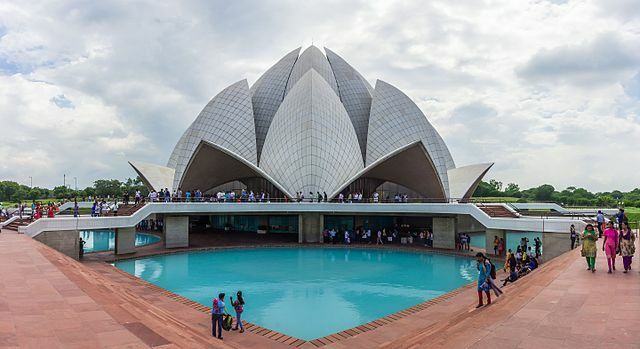 Many reputable land tour operators, from luxury and small-group or private, to more economical or independent, offer Golden Triangle tours of India that will allow you to get a sense of one of the world's most fascinating and complex travel desinations.